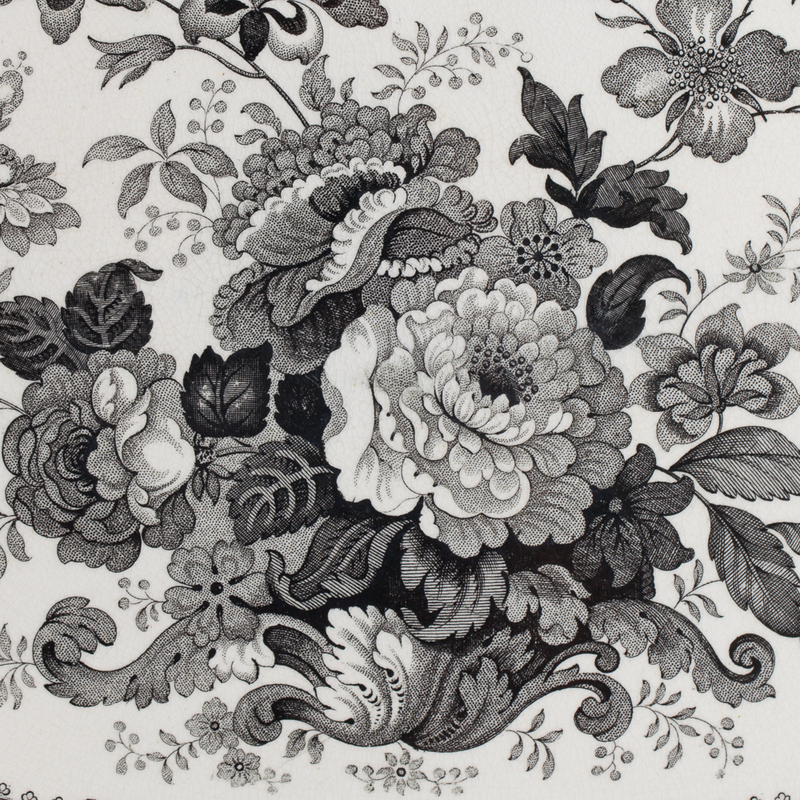 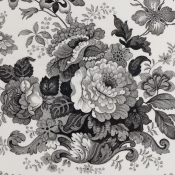 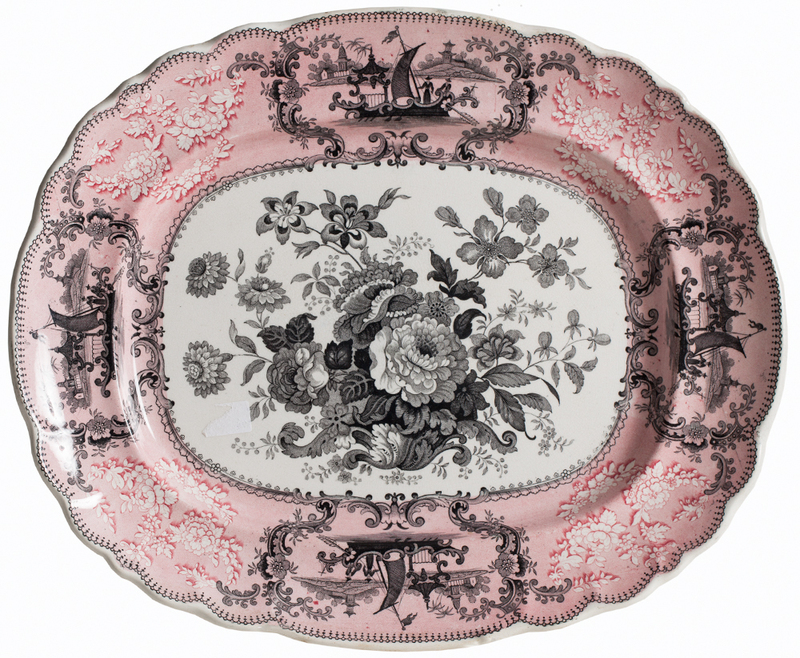 An Antique English Pink and Black Transferware Platter with Flowers, circa 1840. 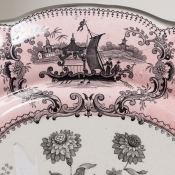 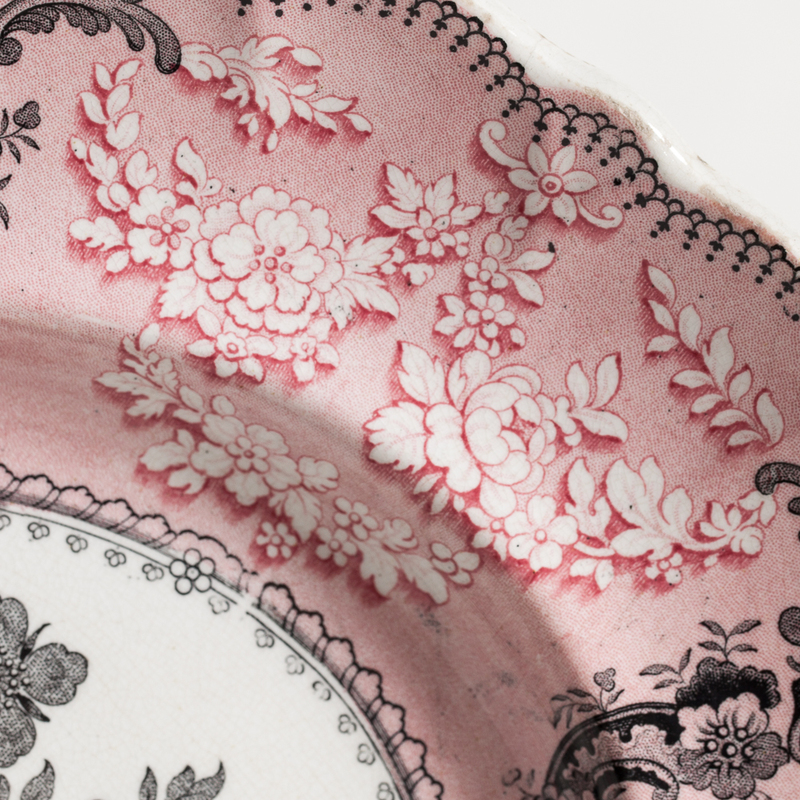 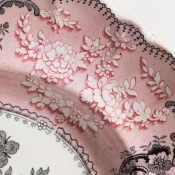 An unusual color combination makes this pink and black romantic transferware platter a very special one. 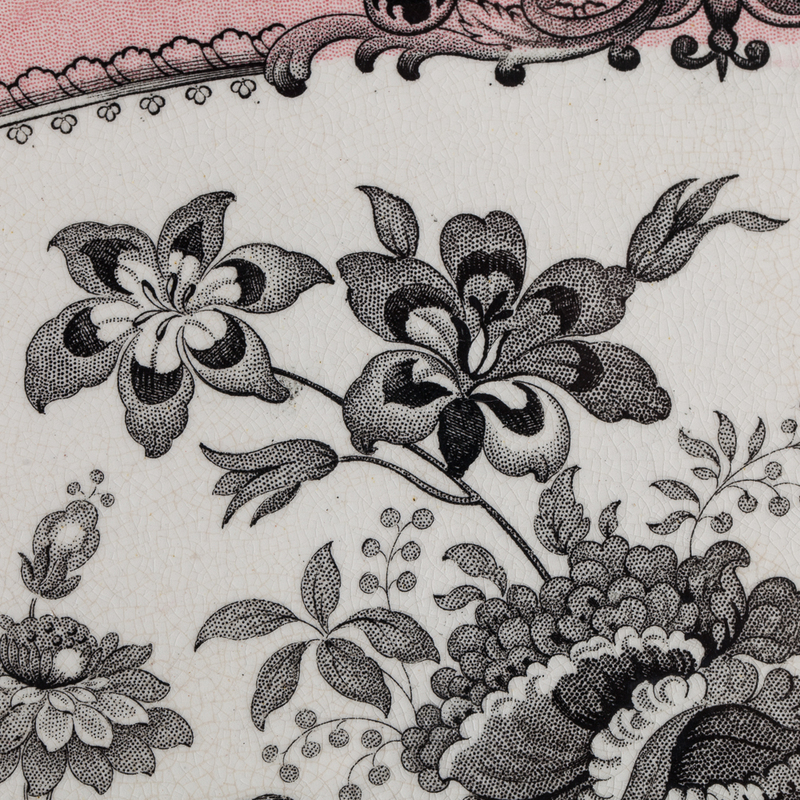 A pink border with black medallions of oriental scenes surrounds a sumptuous bouquet of flowers. 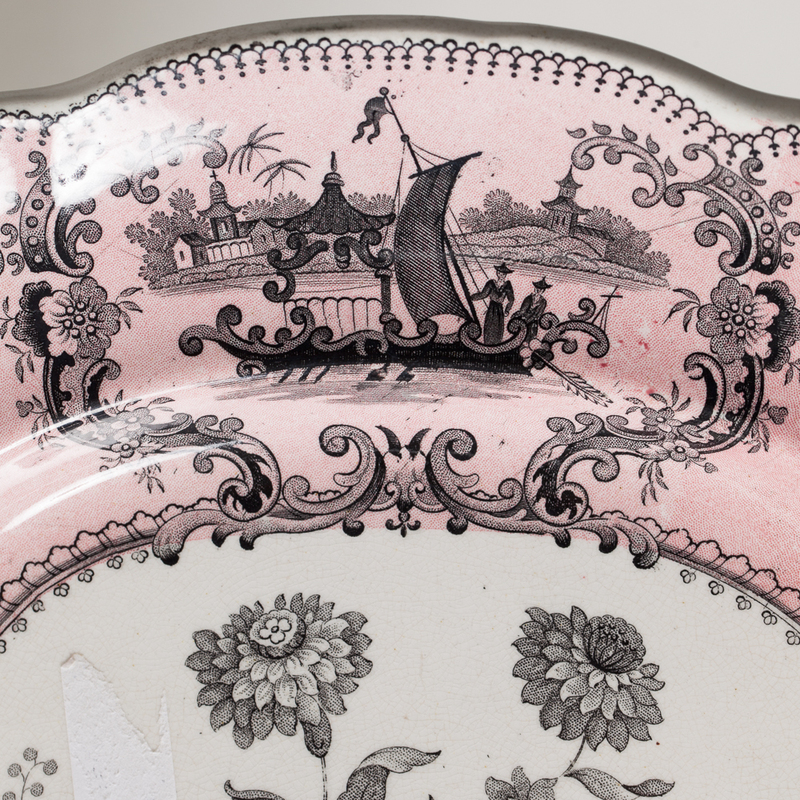 This piece is unmarked but dates to around 1840 and is in perfect condition.